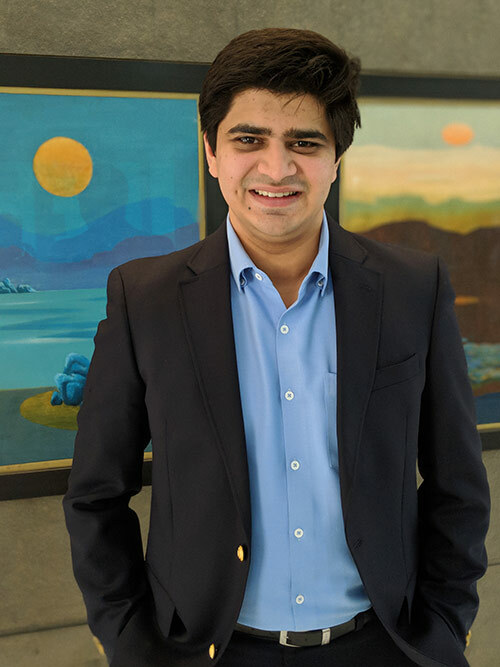 Karan Shah (MBA 2016) is executive director of Precision Camshafts Limited, a large precision manufacturing company in Solapur, India, and a partner in MAYU, a luxury goods startup. What’s a typical work day like at Precision Camshafts Limited? “Precision Camshafts Limited (PCL) was founded by my father, Yatin Shah, 25 years ago in a small, 100-square-meter shed. In the beginning, the company manufactured 600 camshafts a month. Today, PCL is listed on the Indian stock exchange, manufactures over 10 million camshaft per year, and has emerged as one of the largest camshaft manufacturers in the world, serving marquee customers like GM, Ford, Daimler, Porsche, Toyota, and others. “In the two years that I have been at PCL—first as a business development executive and now as executive director—there has been no ‘typical’ work day—which is something I cherish and enjoy! My job involves bringing in new customers, retaining and growing business with current customers, leading new projects, developing new products, spearheading new technology drives, meeting investors and stakeholders, building a strong management team, and working aggressively on our growth strategy to diversify the business portfolio. One of my key responsibilities is to ensure that everything we do has a well-documented system and process. A day at work could involve any or all of the activities I mentioned above! What are your short- and long-term goals for this work? “In the short term, I am working on integrating our latest acquisitions into the PCL group, introducing new products into our existing setup, establishing new systems in our operations to make it less human-dependent and more digitized, and creating the next line of leadership for the company that can take it forward for the next 15-20 years. Can you tell us about MAYU and what motivated you and your wife to launch it? “My wife, Mayura, and I are both avid travellers and enjoy exploring new places around the world! A few years ago, we were both in Iceland chasing auroras when Mayura discovered a rare kind of leather that is up-cycled from fish skin that would otherwise be discarded at a fish processing unit. The exotic and luxurious look and feel of the leather, along with the fact that it is sustainable and eco-friendly, immediately struck a chord with her, and the idea to create a luxury brand was born! After two years of research and hard work, we officially launched MAYU in November 2018. What’s it like working for two seemingly different companies—one focused on manufacturing and one focused on fashion? “It’s refreshing in many ways! I am fortunate to have the opportunity to work in two very different industries. While there might not be much common between the two, I feel that the ‘way of doing business’ can often be applied horizontally. Many of the systems at PCL can be an inspiration to MAYU as the business grows. My experiences at PCL in sourcing/purchasing, logistics, import and export, taxation, and legal will definitely help when building MAYU. “PCL is a medium-sized listed company with global operations, whereas MAYU is a three-person startup based out of our home. The difference in size and scale is often challenging, but is training me to compartmentalize my head space, wear different hats, and stay grounded! How do you use what you learned at HBS in your work at PCL? How do you use what you learned at HBS in your work at MAYU? As someone who’s working with not one, but two family business at the same time, what advice do you have for fellow alumni planning to join the family business? 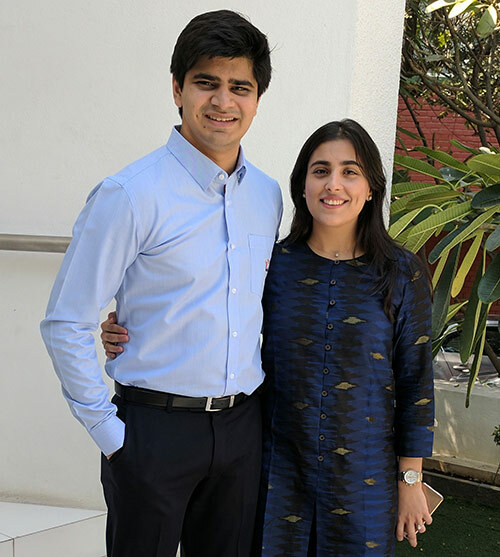 “I would highly recommend anyone joining the family business to 1) be qualified to hold a position in the organization (this is something that my mother always told me), and 2) work outside the family business for at least a few years. Working outside of your comfort zone with a ‘real’ boss who is not a family member is an experience that I benefitted greatly from. The ‘outside’ job can help bring in a professional mindset into a family business. “Once you have entered the family business, it is important that you clearly understand your role in the organization and have a clear separation of responsibilities from other family members. However, at the end of the day, there needs to be only one person to ‘captain the ship,’ as my father always says. There can’t be multiple people making decisions that conflict with each other. What are the best parts of working for a family business? And what do you find most challenging? “Working as a promoter of a family business means that you get to wear all the hats! This gives me tremendous opportunity to learn as the business grows. Outlining the overall trajectory of the business, creating long- and short-term goals, and leading a committed team are just some of the perks of being part of a family business. What is your favorite HBS case and why? Did you have a favorite HBS professor? “My favorite was Joshua Margolis, my professor for LEAD. His passion for teaching was evident in every case we discussed and he taught us how to look at the world through a different lens. On our last day of class, Professor Margolis gave us his 11 bits of advice, which I still remember vividly. You get paid for finishing not starting. Get your ‘walk-away money’ together fast. If it makes you anxious or defensive, approach and learn. Nothing is worth prolonged misery, but learning can be painful. Are you chasing the rabbit… are you dodging the stretch? Don’t treat home as a pit stop—spend quality time with family! Create sacred time (for yourself and with loved ones). What did you like to do when you weren’t studying? “Transformative! In many ways, the world I knew before HBS revolved around engineering and the automotive industry and most conversations would be about these topics, as all my friends did the same thing as me. The classes at HBS truly opened my eyes up to a world of people who had a different perspective on everything I knew and didn’t know.